Программы для написания музыки, плагины и музыкальные редакторы, виртуальные студии, VST инструменты, VST эффекты и все для создание музыки на компьютере. 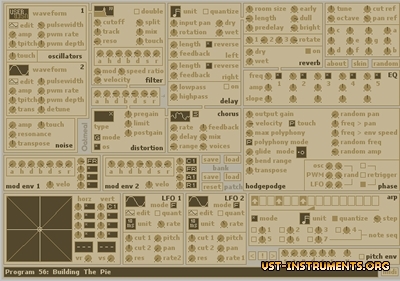 Chimera is an experimental synth that uses subtractive synthesis in a new way. White noise is sent through a series of narrow bandpass filters which are controlled by pitch. The filtered noise is used as resonant sinewaves to create pads, atmospheres, organs and percussive sounds. In other words, everything you hear from Chimera is white noise being filtered into music — in realtime. 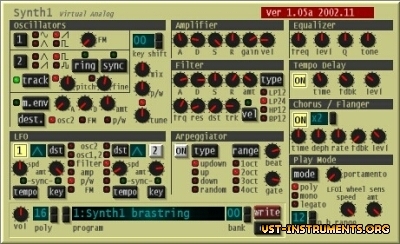 A basic 2-osc subtractive synth. Glitch chops up your audio in real-time and applies a variety of effects which can either be chosen at random, manually sequenced, or a mixture of both. The sounds it generates range from quite subtle to extremely bizarre, depending on how much you tweak the controls. 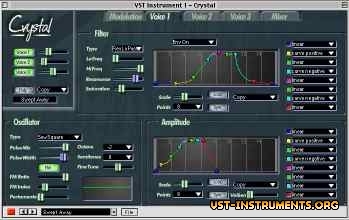 Atlantis is a unique synthesizer VSTi. It has nearly unlimited possibilities for creating new and exciting sounds! 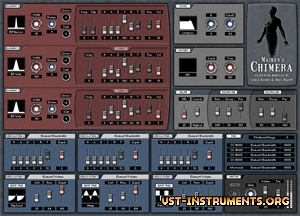 It is also a powerful effects module that can be used to process other audio. 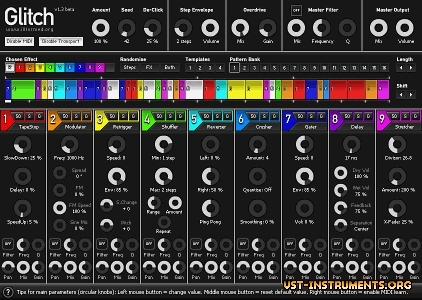 3 true stereo morphing oscilators, with independant width, phase, spread, chorus, tuning, volume, envelope and panning feed into a pair of filters (with your standard algorithms and a lot of unique new favorites), a shaper (distortions and beyond), and a simple room modelling multitap filtered delay system with another pair of selectable filters. The routing of the filters and shaper can also be switched into a variety of configurations for further flexibility. 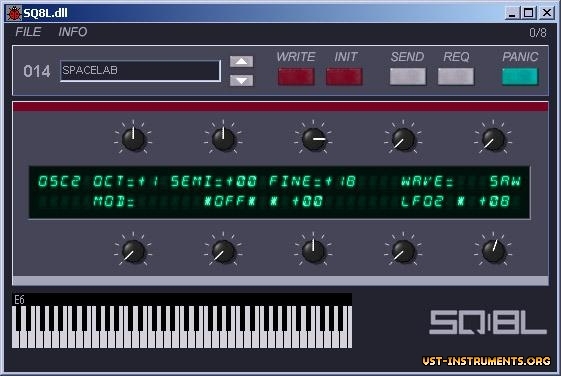 The SQ8L is a software (VST) model of Ensoniq's classic 1980s synth SQ80. The SQ80 features 3 digital wavetable oscillators for each of its 8 voices which are fed through analog 4-pole lowpass filters (-24dB gain) with resonance. 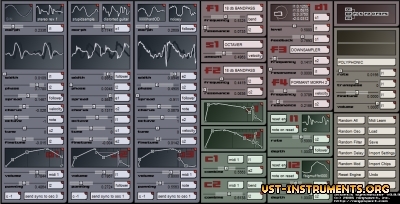 Sound parameters can be modulated by 4 envelopes, 3 LFOs and several MIDI sources. The SQ80 also has a predecessor, the ESQ1, which can do most of the same stuff.